Why now? Why her? Why me? Why this? It may be the biggest three letter word in our vocabulary-why. It is often time the hardest question and most assuredly the least answered-a question that even the most mature and devout of Christian believers struggle with-Why God. 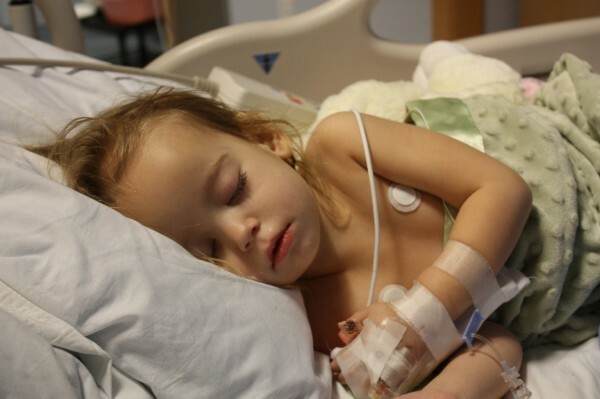 Why does my child have cancer? Why can’t I find employment? Why did my loved one have to die in that crash? Why are innocent children the first casualties of war? Why are Christians being tortured and martyred in this day and age? Why won’t my kids serve the Lord after years of praying for them? Why did my spouse leave me? Why didn’t you heal them? Why God won’t you respond to me-why so silent? Why do bad things happen to Godly people? These whys are painful. These whys are real. And these whys rarely receive a response. They come from our deepest and darkest moments, our raw and naked emotions, and they test the very fibers of our belief and faith. Many have walked away from their faith in God because they could not find answers or accept silence as their only answer. There was a man named Job in the Bible, a man described as the most God fearing man of his day-“none like him in all the earth” it says. But in a matter of hours, Job lost his possessions, his children and his health for no given reason. He had some serious whys for God. Joseph was thrown into prison for years for a crime he didn’t commit with no communication from God. Paul and Silas were chained in a dark dungeon like jail, beaten and tortured for being obedient in preaching the good news about Christ. I’m sure deep inside they may have had a few whys. Even our Savior, while hanging on the cross in our place, feeling the unfathomable pain from the beatings and the nails, rendered to His father an unanswered…Why! How I wish I could submit a reasonable explanation as to why God allows such suffering seemingly without cause. How I wish I could comfort friends or family who are going through difficult times with words that make sense or scripture that makes it all clear. I have had my own whys-why divorce? Why disease? Why did I lose the business? Why God can’t I hear your voice when I desperately seek you? We all have unresolved whys in our lives. To follow God blindly without having questions is unrealistic. But trusting God in the valley of the shadows of death when we don’t understand requires a relationship with Him that can’t be forged just in the easy times. We are purified through fire. We are strongest when we are at the end of human reason and ability. And we are best able to offer comfort when we have been comforted in our own times of why. I can’t answer in a thousand words or less a question that has been posed by much holier men and women than me for thousands of years. If I could I would be in high demand like Bruce Almighty. I have reconciled in my heart that I will most likely go to my grave having most of my whys for God unanswered. But I also know that on that day when all things are revealed and the mysteries of faith resolved, it won’t be as important as it seems to be now. God is faithful, just and good and He loves us with an everlasting love, having pardoned our sins through the death and resurrection of His son so that we might inherit eternal life, which may be the biggest why of all.